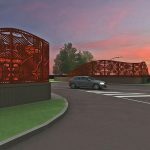 The City of Kettering CitySites Public Art Program is proud to announce the selection of Vicki Scuri SiteWorks (Lake Forest Park, WA) for the design of a permanent artwork on the Schantz Avenue Bridge. 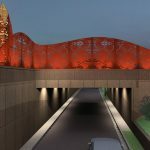 Scuri’s extensive public art experience, community engagement practices and innovative methods of art integration into public infrastructure projects contributed to her winning proposal. 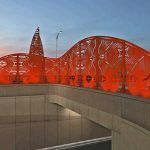 Through an extensive review process, Kettering’s Art in Public Places Committee and a panel of residents and community stakeholders reviewed 94 artist submissions from around the world. Four semi-finalists were selected through various criteria including artistic excellence and the potential to create a signature piece for Kettering. 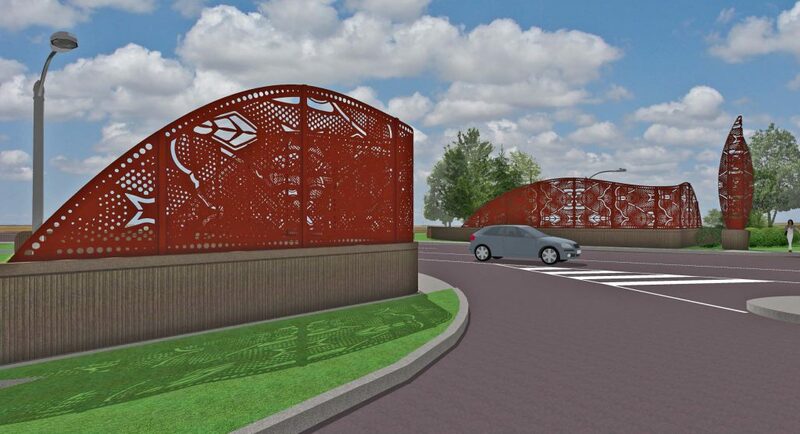 Over the course of several months, the semi-finalists visited the bridge, met with City of Kettering staff, and interviewed residents to develop ideas for aesthetic enhancements to the site. 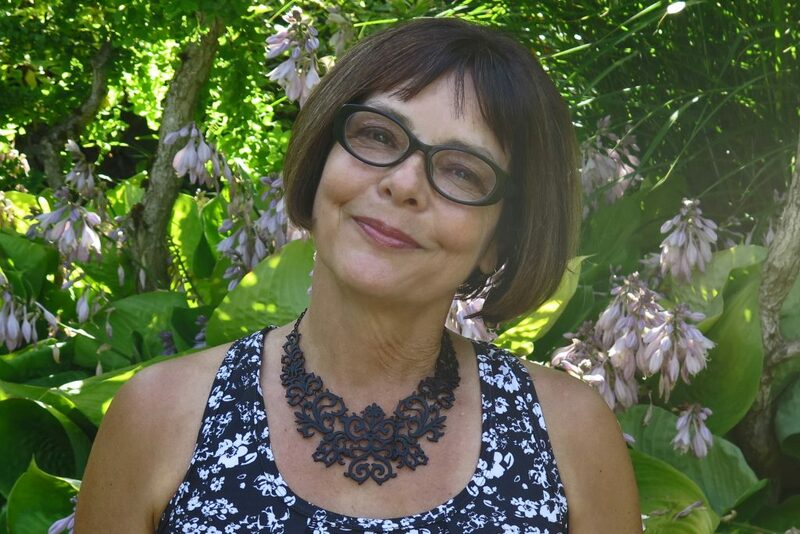 Scuri’s proposal includes pattern designs derived from the stained-glass of the trolley cars that ran along Dixie, and past and present stories, events and inventions discovered during her research and interviews. 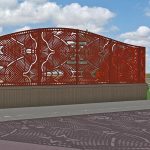 The proposal also addresses the required addition of a security fence on the bridge, which Scuri designed as a marker, or gateway, into Kettering to be experienced both entering and leaving the city.